Audiodraft Contest | Nokia Regional Ringtones: South East Asia &..
Nokia is reaching out and asking you to create ringtones that reflect and celebrate local music culture and styles. A prize fund totaling over USD 37,000 is on offer plus the chance to get your work into millions of handsets! The ringtones of this contest should be suitable for use throughout the whole of the South East Asia and Pacific region, including Brunei, Cambodia, East Timor, Indonesia, Laos, Malaysia, Myanmar, Philippines, Singapore, Thailand, Vietnam, Australia, New Zealand, New Guinea, as well all neighbouring Pacific Islands. Please note that Nokia also has similar contests running for Latin America, Middle East and Africa, India, and China. Nokia Sound Design team will listen through all the entries of this contest and make a final selection of 5 ringtones for each region, each ringtone receiving USD 1,500 in prize money. To help guide the selection, everyone will be encouraged to rate the content throughout the duration of the contest. The winning ringtones will be added to the specific regions they were created for, sitting alongside Nokia’s global set of ringtones for 2013. You are encouraged to explore local music styles and include musical elements and instruments that have a strong connection to local cultures. 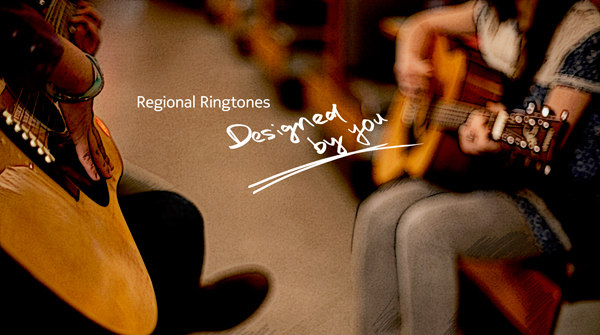 The ringtones can range from traditional classical/folk based local styles to the more popular and modern local styles. However all ringtones should in essence be contemporary (i.e., not old-fashioned). It’s also important to avoid styles that cannot be differentiated from Western popular music. The ringtones should be wholly original, with no reference to the classic Nokia tune or any existing melodies. Keep it original, get creative, be bold… and have fun! Adventurous – You are encouraged to be bold - include an ear-catching surprise, try a different approach, or just make it exciting! Positive – Nothing too sad or downbeat, it should evoke happy and uplifting thoughts – a celebration of local music! Minimalistic – Crafted as a ringtone with high consideration for the small speakers – can be musical, non-musical (no determinable melody), or somewhere in between. Instrumental – You should avoid any spoken words/lyrics and keep the ringtones instrumental – Minor vocal parts/effects can be considered however. Because of one time payment prize only non-members of music copyright Collecting Societies are eligible to participate in the contest.